Incentive travel can be a great way to boost energy levels and inspire new ideas, whether you head up a company and want to motivate your team, or you work for yourself and just need that push to work harder. And visiting the world’s greatest cities can do just that. When it comes to deciding which ones to visit, there are those obvious cities that stand out – the fun and culture of London, the inspiring beauty of Paris, and the high energy of New York. But there are many others that get forgotten about and have just as much to offer. From swapping the Big Smoke for Berlin to switching the Big Apple for Chicago, UK incentives company Corporate Rewards looks at some alternative cities to incentivise and inspire. England’s very own capital is a city that’s brimming full of fun, fashion and culture, with its thriving nightlife, landmark shopping and world-class museums. But, unknown to many, Germany’s capital city has all London has to offer in abundance. Berlin has been referred to as the coolest place on the planet and has even been voted the most fun city in the world. From its grand opera houses to its cutting-edge fashions and a nightlight that arguably makes it the best clubbing city in Europe, this impressive city boasts extremes in inspiring culture and motivational fun. 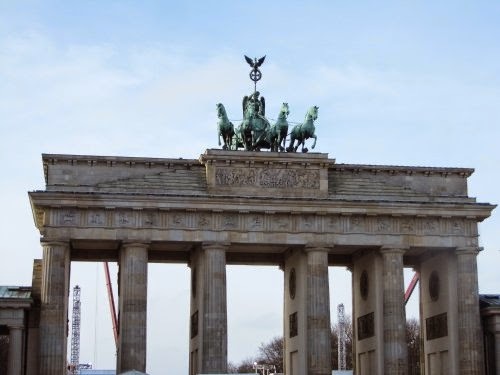 You or your team could take a stroll to the striking monument that’s the Brandenburg Gate. You could visit Museum Island and enjoy the exhibitions of its five inspiring museums, covering everything from Islamic art to Egyptian history. Or you could take a thought-provoking walk alongside the remains of the Berlin Wall and visit Checkpoint Charlie. In the evening, why not eat out at one of the city’s many high-end restaurants, followed by a night out experiencing the vibrant beats of Berlin’s many stylish nightclubs and bars. When you think of the world’s most beautiful cities, Paris will probably be on your list. With its historical buildings, gothic architecture and striking landmarks, like Notre-Dame and the Arc De Triomphe, with the stunning river Seine weaving throughout, there is much to admire that brings beauty to the French capital. 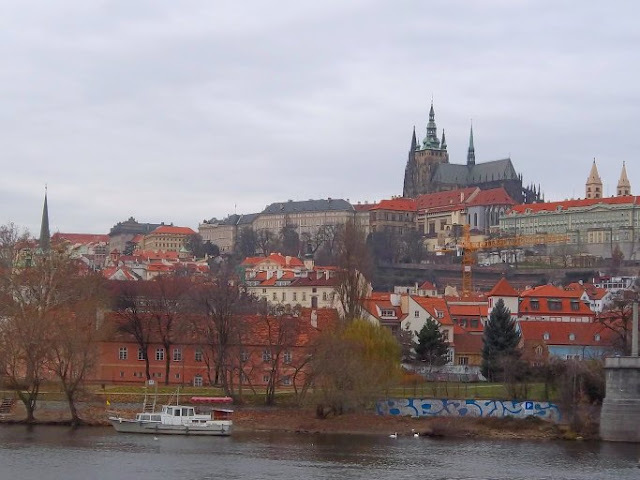 However, known as the city of a hundred spires, with its baroque building, gothic churches and serene Vltava River, the Czech Republic’s historic capital of Prague is another world-beating city of beauty. You could take a walk across the magnificent Chares Bridge and admire the waters of the Vltava, or take a boat ride down the river to enjoy the views of this awe-inspiring city. Why not also take in the city’s views from the Petrin Lookout Tower – Prague’s answer (albeit smaller) to Paris’s Eiffel Tower. You or your staff could stroll through the quaint Old Town Square to see its famous Astronomical Clock, or visit Prague Castle and the majestic St Vitus Cathedral. You could end an inspiring day by experiencing a night of classical ballet and music at one of the city’s beautiful opera houses or concert halls. Netherlands’ capital city, Amsterdam, is known for its canals, canal houses and picturesque buildings. 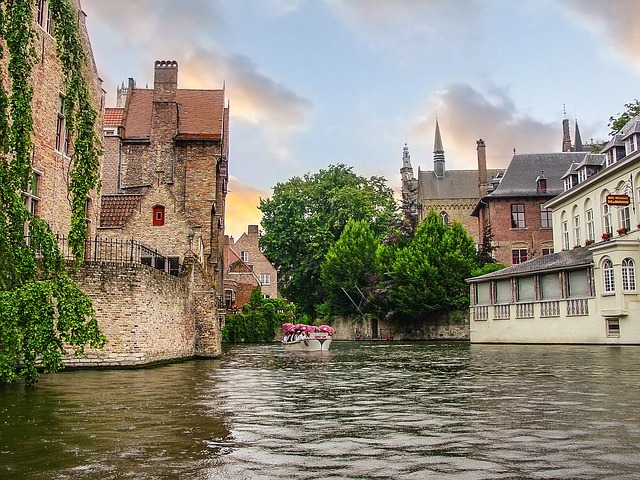 But Bruges, the capital of West Flanders in Northwest Belgium, can be a great European alternative, offering a landscape of canals and picture-postcard architecture, with plenty to see, do and experience. While on a smaller scale and quieter than the hustle and bustle of Amsterdam, Bruges still provides those rewarding waterside walks, old and beautiful canal houses, cobbled streets and inspiring gingerbread-style architecture. You could travel Bruges by water and take a canal trip to explore the nooks and crannies of the city, admiring its picturesque old bridges and buildings. Or you could climb to the top of the Belfry in the Market Square and take in the panoramic views of this pretty Belgium city. Why not also visit one of Bruges’s many picturesque castles – there’s more here per square inch than anywhere else in the world. And it would be rude to visit without enjoying some Belgium chocolate from one of the city’s many mouth-watering chocolate shops. When it comes to thriving US cities to visit, New York probably immediately springs mind. But overlooking the epic waters of Lake Michigan, there’s another American metropolis that has just as much bite at The Big Apple. From its striking skyline, impressive skyscrapers, bold architecture and city parks, to its food, museums and shopping destinations, Chicago is one of the US’s largest cities with so much to offer to motivate and inspire. 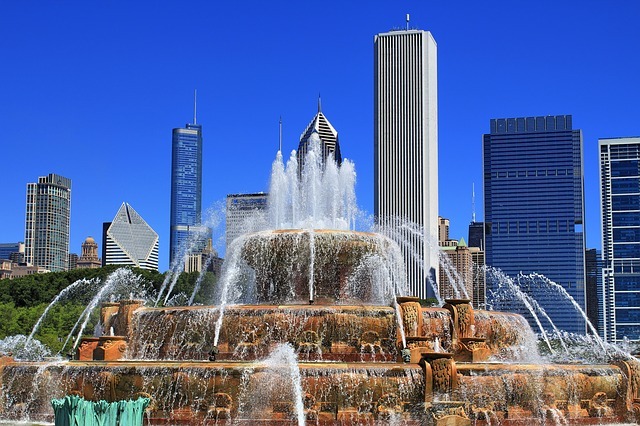 Forget New York’s Empire State Building, Central Park, and 5th Avenue, the city of Chicago has much to rival these landmark attractions. You could experience the heights and views of the Willis Tower – once the tallest building in the world. Or you could visit the 24-plus acre Millennium Park and admire its inspiring structures and surrounding city architecture. Why not also treat you or your team to a spot of motivational shopping on Michigan Avenue’s Magnificent Mile, where you could pick up a new outfit for the office. And, afterwards, enjoy some of Chicago’s most famous cuisine at one its many pizza restaurants. Who knows, it could be just the energy boost you need before you return to work more motivated and inspired than ever before. Have you been to Berlin, Prague, Bruges or Chicago? Gardeners have long known the pleasant side effects of gardening –keeping active, the planning it takes, the thought process of what vegetable will grow better in the shade of trees and so on. Yet gardening is more than just a pleasant past time. Cultivating, planning and growing your own food, for example, affects mind, body and soul. For parents, this is great news. Always looking to give your children new experiences, the greatest resource that nature provides could be right on your doorstep. 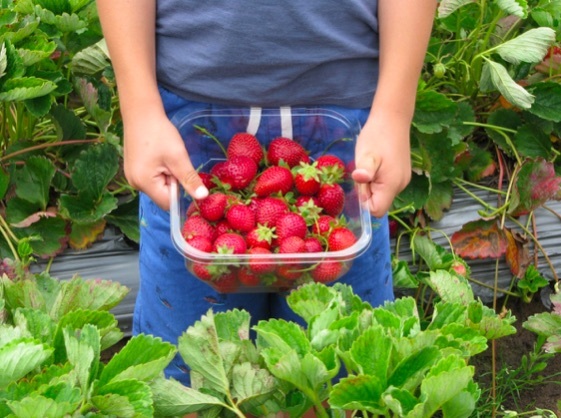 So, rent an allotment or get out in the garden, enjoy the temperate climes of the greenhouse or enjoy the growing space of domestic polytunnels because all offer unparalleled abilities to expand and nurture your child’s development. There are a number of scientific concepts involved in the entire process of gardening. What do plants need to grow and why? Why do some plants thrive in damp, boggy soil but others prefer free-draining? How does the colour of the plant's flowers help to determine the best place for it? How do plants drink? The questions could go on and on but they are all scientific concepts that at some point in their formal education, children and young people will come across. Gardening in effect gives them a head start because they have already seen these concepts in action. Also, there are the mathematical concepts to understand from measuring to counting to spatial awareness. 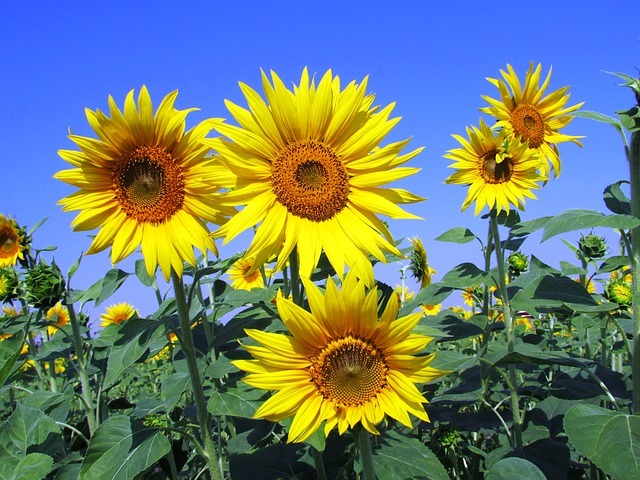 A simple activity that links to the National Curriculum for science and maths, could be to estimate the growth of a plant, like a sunflower for example. This is a two-fold development for children: firstly, there is the physical activity of gardening and secondly, the healthy eating aspect. Hardly a day goes by when the amount of time that youngsters spend glued to a screen, be that their uber-smart phone or a gaming console is criticised. As parents, this concerns us and so we try to introduce activities that pull them away from their gadgets. This increasingly sedentary lifestyle is causing health problems too and so an afternoon spent in the garden is a great way to get active and get some fresh air. 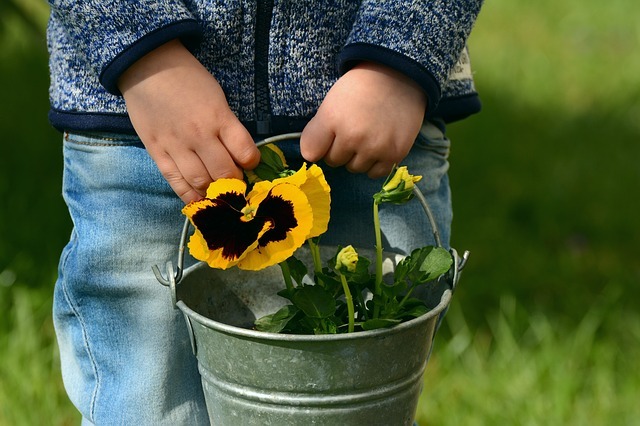 From half an hour weeding and hoeing to planting seeds and seedlings, there are all kinds of physical activity that get kids moving (and you too!). Getting kids to eat their greens or anything other than highly processed, sugar-laden and salty foods can seem like a never-ending battle. Children’s tastes and willingness to try different things will change with time but, in the meantime, you are battling every meal time to get anything on the plate, never mind in their mouths, that resembles a vegetable. 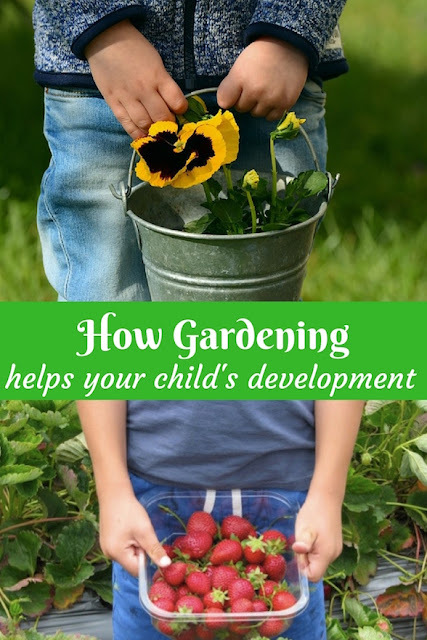 Growing your own has been one way that some parents have been able to introduce their children to vegetables and fruit, so why not give it a whirl? Start with easy-to-grow vegetables and enjoy raw, straight off the plant for the best flavour. Pots make great growing containers, as does the flower border and cress grown in egg shells on the kitchen window ledge is the stuff of childhood memories. In the digital age, we tend to ‘relax’ by tweeting, posting, surfin’, gamin’, you name it but you have to ask the question, is this really downtime? Are we really teaching our children how to disconnect and relax? Gardeners, from prize-winning ones to those that enjoy ‘pottering’ amongst the flowers and the buzzing bees have long known that the garden is the ideal place to relax. The garden is not just about growing things and all the hard work that comes with that, but gardening is also about enjoying how to work in harmony with nature. Once you have planted and nurtured, freed your plants from weeds and staked the pea plants to climb high, once you have dead-headed the violas to encourage new growth and gently watered the tomato plants, once you have seen that all is right in the garden, you should enjoy time admiring your handy work. There is a satisfaction in watching your garden blossom, bloom and grow knowing that you had a hand in it. You too can pass on this appreciation to your children, pointing what has changed and what you will do differently next year. Who would have thought that the garden, that small plot of land in front, at the side or behind your home, the allotment or the polytunnel could be such a powerful force in the development of mind, body and soul? First Tunnels has long known that gardening, growing your own food in polytunnels along with brightly coloured flowers and fruits has many beneficial side effects, for adults and children alike. Even if you know that eating healthy can be beneficial for a number of reasons, convincing the rest of the family to eat their greens and watch their sugar intake can sometimes be a little tricky – especially the kids, or the husband with a chocolate habit! Whilst ‘clean eaters’ can sometimes be a take things a little far (I’m not about to convince you to go vegan and replace your coffee for Matcha tea) we could probably all do with eating a little better from time to time, even if that just means good, home-cooked meals rather than a quick frozen pizza, or fruit instead of chocolate for a dessert/snack. 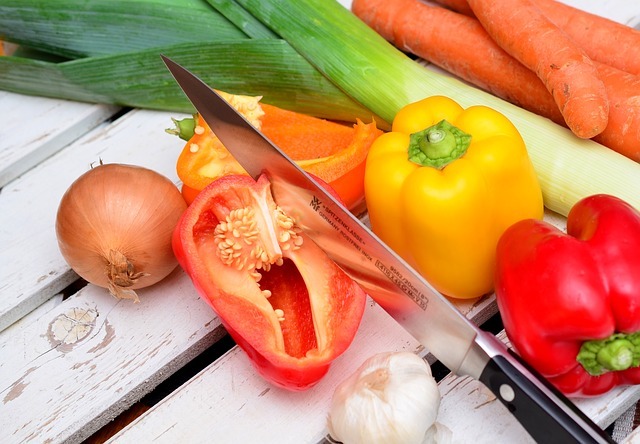 Changing bad eating habits can often be difficult but here are some tips to make sure you and the family stay on the right track when it comes to cooking healthier meals. Contrary to popular belief, you don’t have to be a Michelin star chef to produce a decent home cooked meal. Of course, even if you do fancy yourself as a bit of a Jamie, life can usually get in the way and there just isn’t enough hours in the day to cook everything from scratch all week. This is where making and freezing meals in bulk can be a lifesaver. Bulk cooking is literally so easy once you get the hang of it, and not only does it mean you’ll have a good hearty meal to feed the family with just a simple ping of the microwave, it also means you’ll save yourself a hell of a lot of money. Bulk recipe ideas are all over the internet, but if you want simple and convenient and who doesn’t, then why not opt for things like casseroles, stews and curries that are packed full of flavour as well as getting in those all-important veggies without the kids noticing. A great way of doing this is throwing a load of veggies into a pan or slow cooker along with some chopped garlic, one or two tins of tomatoes, a stock cube and something to bulk it out such as lentils (which cost next to nothing!). To get the flavouring, try spice mixes, packet or store cupboard spices, such as Garam Masala, Turmeric and Cayenne Pepper. If you’re on a budget, this recipe is great as it is, but if your family are big meat eaters, throw in some chicken or turkey and cook it all together until the meat is cooked through. Once ready, spoon into Tupperware containers and chuck in the freezer, with a label of what the dish is and when it was made. All you need to do then is defrost thoroughly and heat through well before serving. Things like jars of sauces can often catch people out when it comes to a healthy meal. A lot of these ready made sauces are delicious but have a high sugar and salt content and if you are cooking a bolognaise a curry or a stir fry, can often take the calorie and sugar content of freshly homemade meal through the roof. The best alternative is to simply make your own sauces which is definitely a lot easier than it sounds. 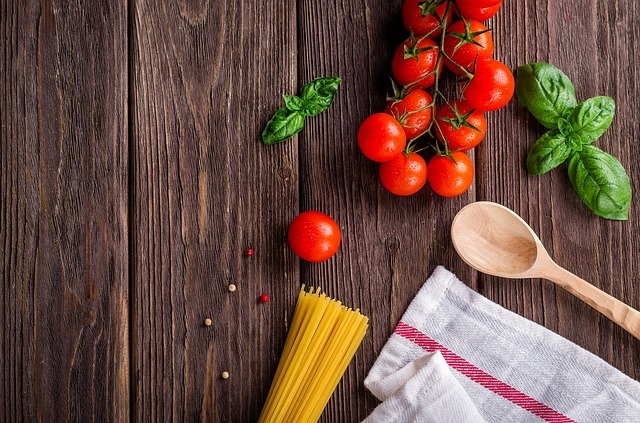 For example, a quick bolognaise sauce can be whipped up in seconds using fresh or tinned tomatoes, oregano, basil leaves, tomato puree, veggie stock and garlic. Blend for a smooth sauce or keep it chunky if you want more texture. Add browned turkey mince, which is lower in fat than minced beef or Quorn to get extra protein. Serve with whole wheat spaghetti for extra fibre. A great sticky stir fry sauce is a little honey/agave, fresh or ground ginger, lime and soy. It's certainly worth thinking twice before you buy the jar next time! More often than not, we are so rushed during the week, with the kids doing their activities and with our own schedule that we often forget to actually sit down and eat. We’ll grab something here, a handful of crisps there, a quick sandwich in between chores and before we know it we haven’t actually eaten a proper meal. We can often resort to junk food too. Mindful eating is a great thing to practice with the whole family and is well worth trying to achieve if you can. Make your kitchen/dining room a comfortable eating space, find some great ambient kitchen lighting and comfortable furniture and get the whole family to sit around the table. Actually concentrating on what we’re eating whilst eating it, as opposed to watching TV or checking your Instagram or emails can ultimately satisfy our hunger a lot more, which in turn will lead to less temptation for sugary snacks before bedtime. This is also a great way of catching up with everyone. If you are going all out and have planned dessert for after dinner – or if the kids are still hungry – then why not swap the shop bought cakes and cookies for a homemade, low sugar alternative? A great sweet treat guaranteed to satisfy young and old are homemade chocolate chip flapjacks. To make combine coconut oil, agave, jumbo porridge oats, pumpkin seeds, Chia seeds and dark chocolate chips in a mixing bowl. Mix until the mixture sticks and spread over a greased baking tray. 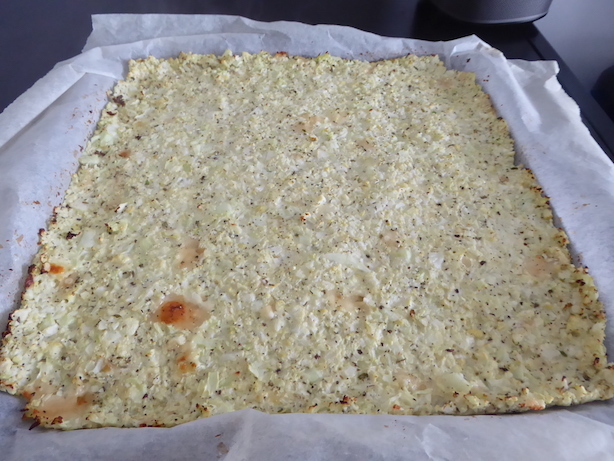 Bake until golden, leave to cool and cut into squares. Easy peasy. You might already be aware, but the ‘Fakeaway’ is a new foodie craze that has taken Instagram by storm. 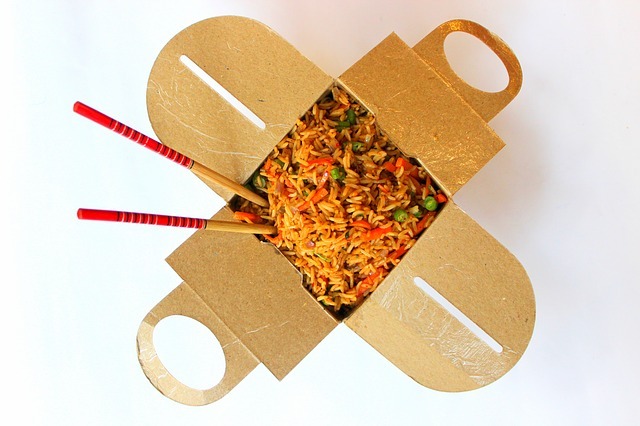 Of course, there’s absolutely nothing wrong with the occasional takeaway as a family treat, but if you find you’re always reaching for that menu on a Friday, it’s time to make a change. Regular takeaways are unkind on both the waistline and the bank balance but it doesn’t mean you have to give them up completely. Creating your own versions of a Fakeaway will save you calories as well as money, and they will hopefully still hit the spot. You can even make your Fakeaway curry in advance and pop it into foil containers or take away boxes for an authentic look. A great Fakeaway is a homemade pizza on wholemeal tortillas and these are also great for making with the kids. Take wholemeal tortillas or pittas and smother with tomato puree. Add any toppings of your choice and sprinkle with cheese (mozzarella or cheddar depending on what you prefer!) bake in the oven like you would a normal pizza for around 10 minutes or until the cheese has melted being careful not to burn the tortilla. Delicious. Tell me your ideas for family meals that are healthier. 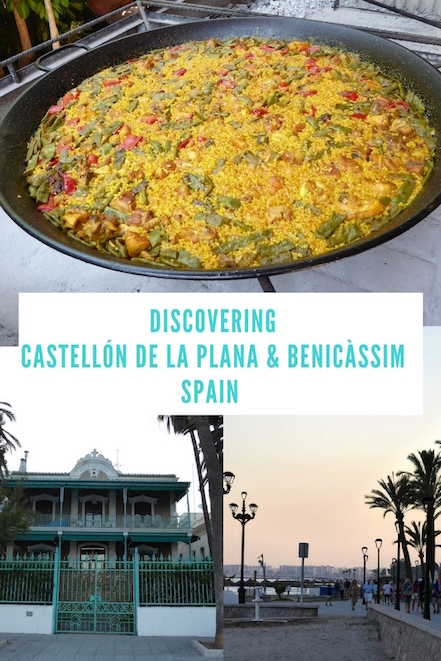 Recently I was lucky enough to be invited to the Castellón province of Spain by the Castellón tourist board. 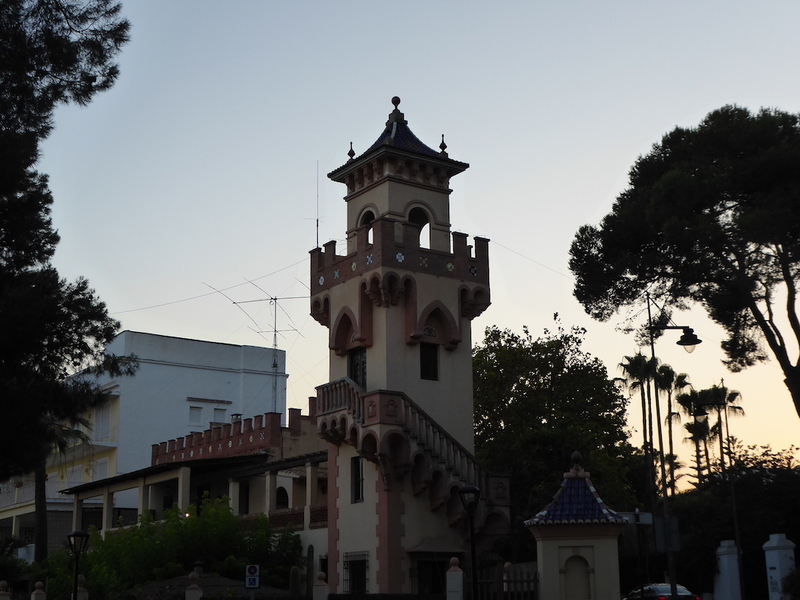 This area of Spain, north of Valencia is often referred to as Castellón Costa Azahar. 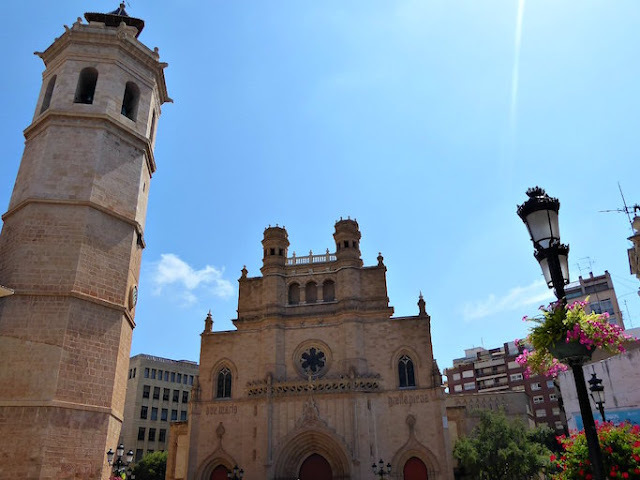 With a temperate climate all year round it's a fantastic area to visit if you like fine sandy beaches, natural parks, historic old towns, gastronomic food and mountainous castles. 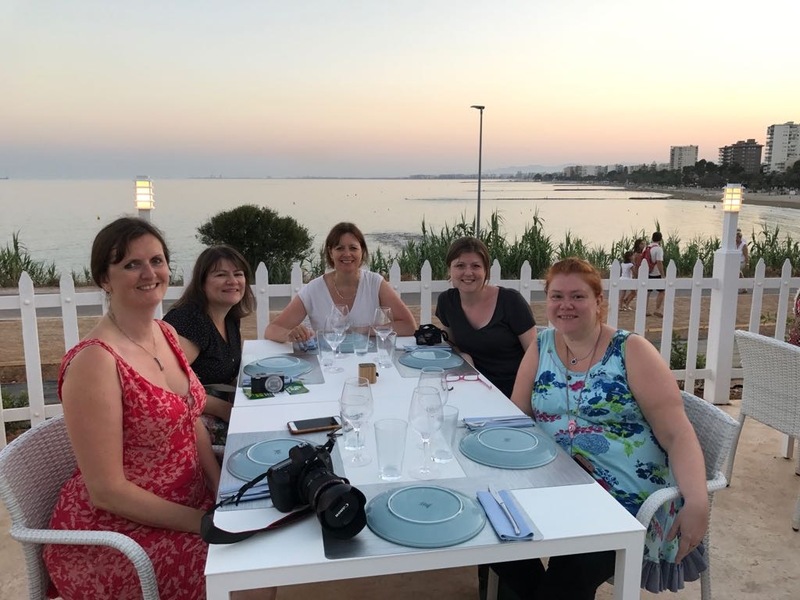 I spent three days here with a fabulous group of bloggers and influencers from Bristol and we had so much fun I wanted to share our exploits with my readers. Our first day was spent in the seaside resort of Peñíscola, where we discovered amazing seafood restaurants and an imposing castle on the hill, a filming location for Game Of Thrones. We then moved to the mountain town of Morella, known for its gourmet truffles, amazing views and fabulous history. 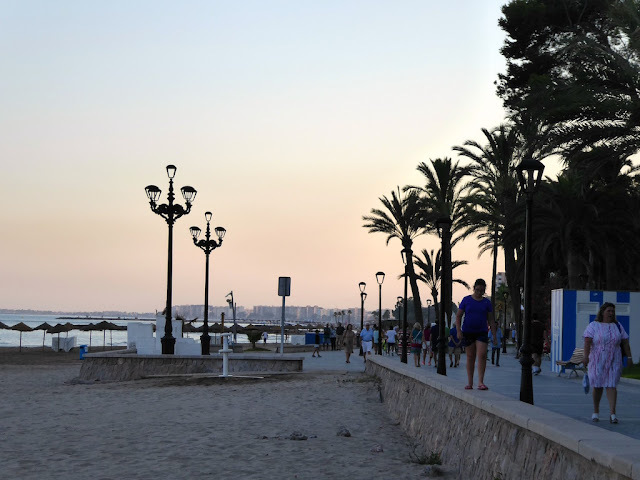 This post is about our last day when we visited Castellón De La Plana and Benicàssim, another seaside resort with 6 kilometers of beautiful clean sand, which is known for the FIB music festival. After checking out of our hotel in Morella we boarded our mini bus to the town of Castellón De La Plana. This town is the capital of the region and is worth a visit for the great shopping and fabulous architecture. The city was founded in the 13th century but there were settlers there for hundreds of years before that. The area is rich with wonderful architecture, just look at the tower on the left above. This is called El Fadri or Fadri Tower. It's a stand alone bell tower of the Gothic Castellón De La Plana cathedral. Bult in the 14th century it is an octagonal building built in the Valencian Gothic style. 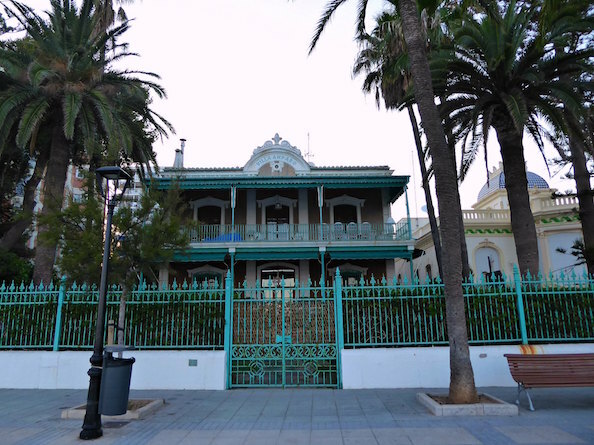 The top photo is of Casino Antiguo, an eighteenth-century palace currently used for events. 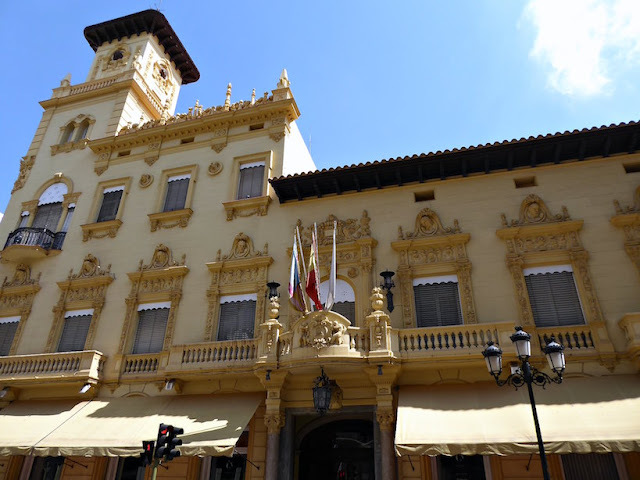 With its highly decorated windows, Casino Antiguo is a must-see for architecture lovers. 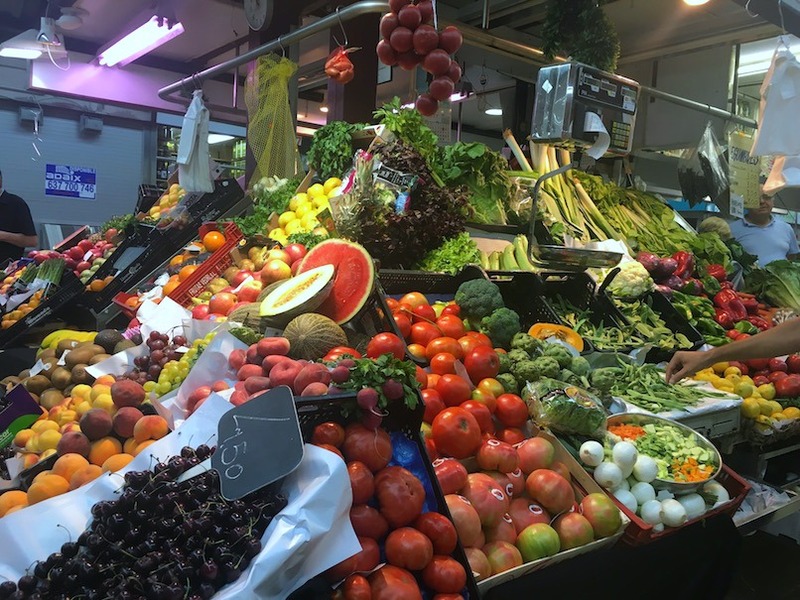 We were in Castellón De La Plana to get ingredients for a paella which we would be making later, so our guide took us to Mercado Central or central market. When we were there we checked out the stalls selling meat for the paella, all with very fresh produce. The fruit and vegetables in the Mercado Central were exceptional too. All bursting with juiciness and vibrancy. We tried some cherries and they were some of the nicest I have ever had, not too tart just sweet and delicious. 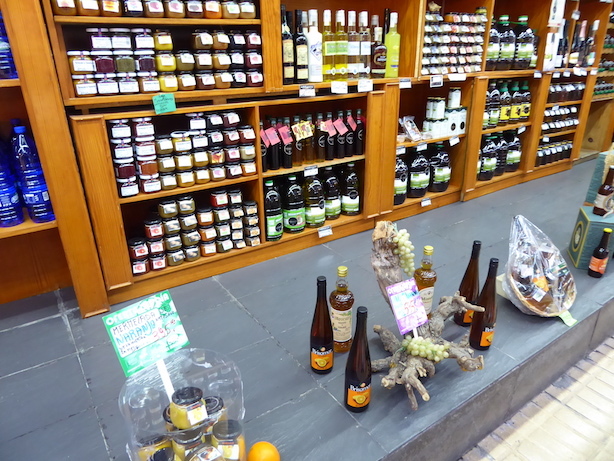 There were also stalls selling delicacies perfect for gifts and souvenirs including local olive oils, marmalade made with Valencia oranges and traditional sweets and biscuits. Our next stop was Mas Dels Doblons. This traditional farm and farmhouse has been made into a museum of Spanish living and culture. While we were here we saw how oranges were traditionally picked, sorted and pressed. Did you know that Valencia is one of the top exporters of oranges in the world? 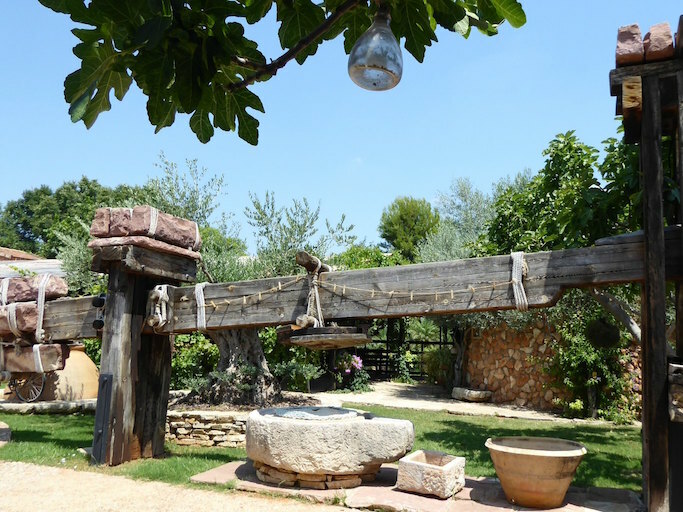 We also discovered how olive oil used to be made, in a massive stone press. 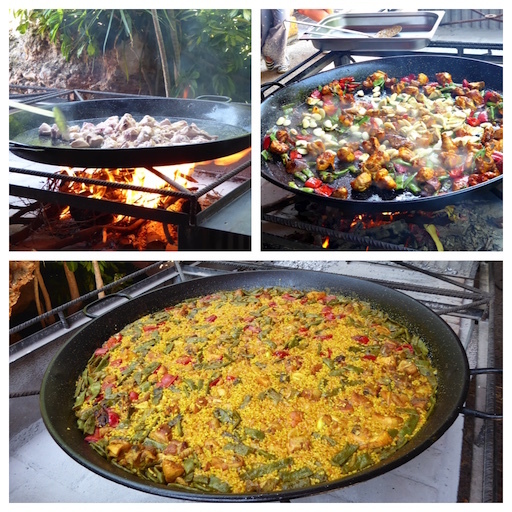 The main reason we came was to see how paella was made authentically. Paella is believed to have originated from Valencia and was a laborers meal. The original recipe was made with what was on the land - rabbit, chicken, rice, green and white beans and snails as well as saffron. What, no seafood you may ask? Yes, seafood is a modern but tasty addition to a paella. Many of these farms were inland too with no access to the sea so that explains the lack of seafood in a traditional paella. 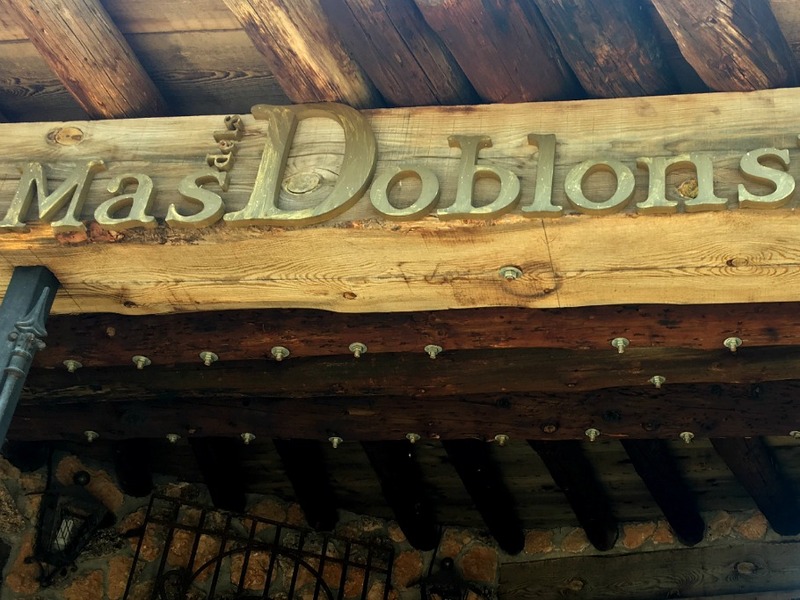 The recipe made at Mas Del Doblons was made in the traditional style but did not have snails in (thankfully!). Even though I'm quite adventurous I am not sure if I would have eaten it with snails. 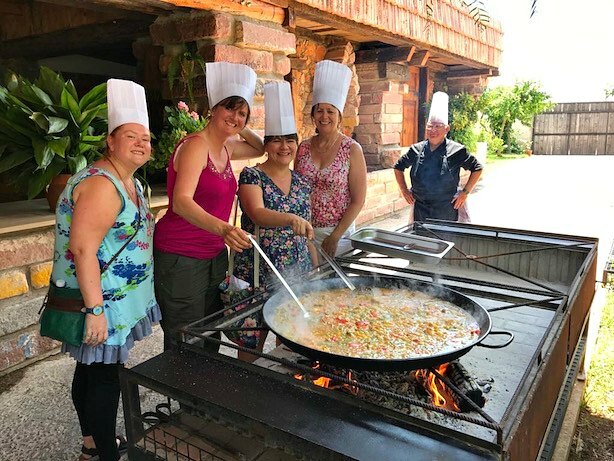 Of course, we had to give the paella a stir to claim we had made it, complete with over sized hats! I asked our guide about the process of making paella in Spain and had the sense that it was the domain of men, similar to the way they take over the barbecue in the UK. Paella is a social occasion when chatting with friends and with a glass of wine or beer in hand. Made slowly and stirred gently, it's a dish to have on a Sunday with family and friends. The paella we had at Mas Dels Dobons was really incredibly filling and tasty. 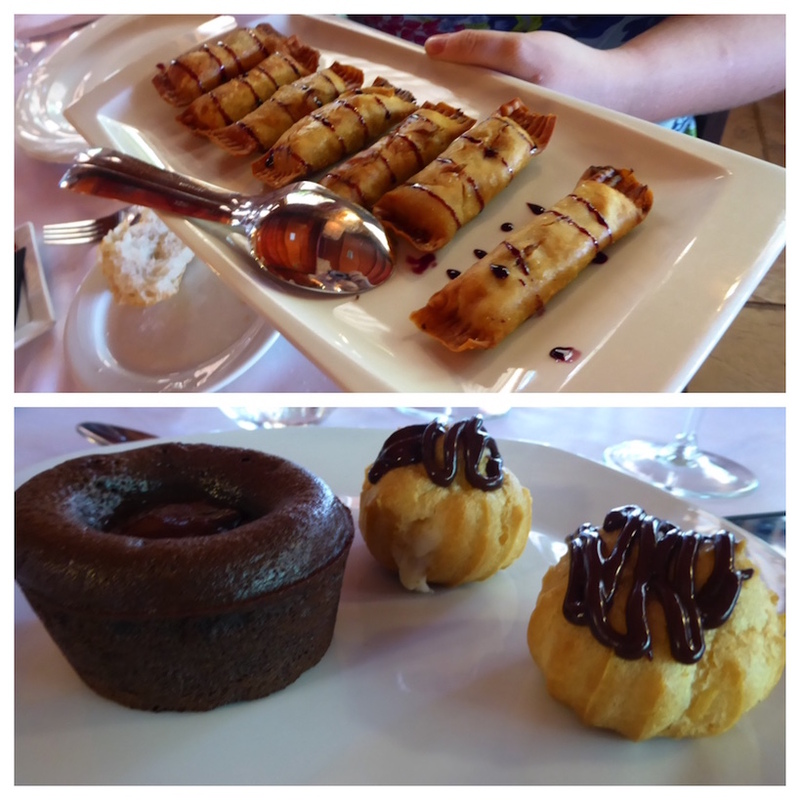 We were so full as we were treated to lots of delicious nibbles before our meal. As well as cured meats and cheeses we also tried Spanish tortilla and other tapas. Not much room for dessert even, but I managed the chocolate fondant pudding - well I had too didn't I? 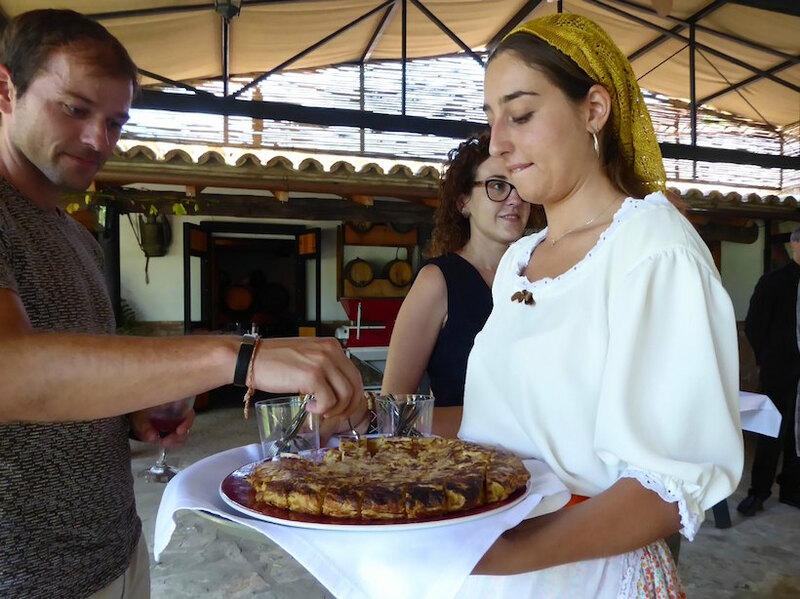 A trip to Mas Dels Doblon is highly recommended if you are interested in the Spanish history of food and local culture. It is open by appointment for visits to the museum and for food experiences such as paella making. If you need an English speaking guide Reser Tours a company based close by can help. So after dinner, we boarded our bus to our next stop Benicàssim. 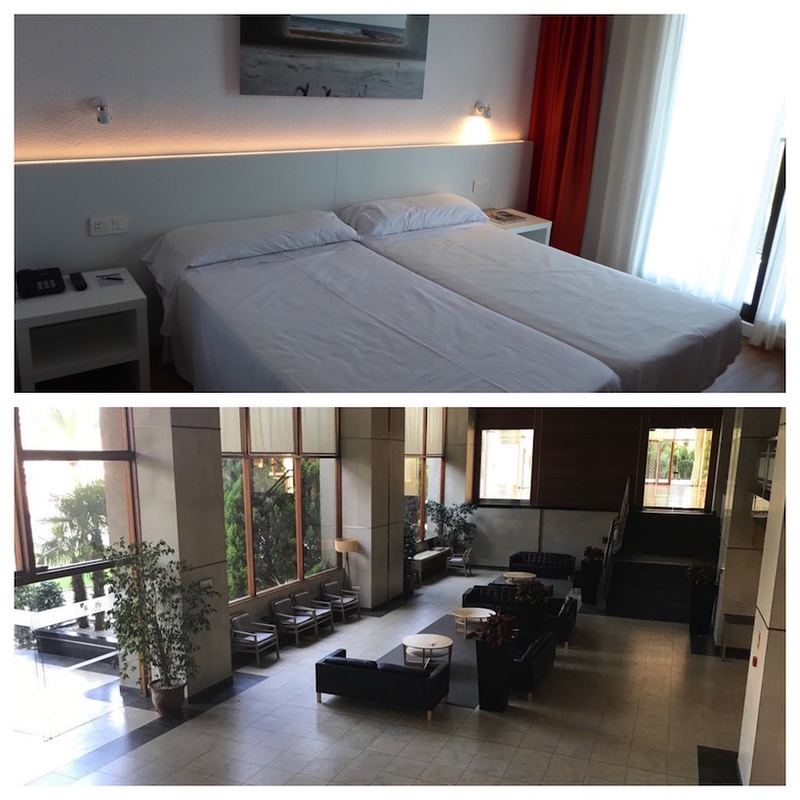 Our hotel was the Hotel Intur Orange, a large modern hotel with landscaped gardens and a great pool area. 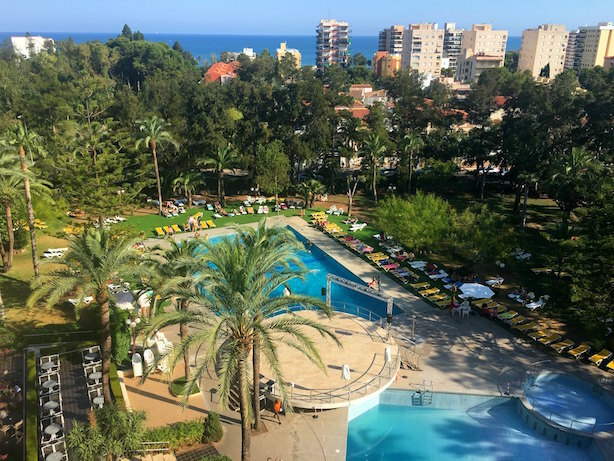 The modern style in this super clean hotel was excellent and this hotel would be a great choice if you are staying in Benicàssim for the FIB Festival, as it's a short ten-minute walk. The FIB Festival is a music festival held every year in July. I find breakfast before a day out exploring to be the best way to start the day. The hotel had an extensive breakfast buffet too which was very welcoming in the morning. 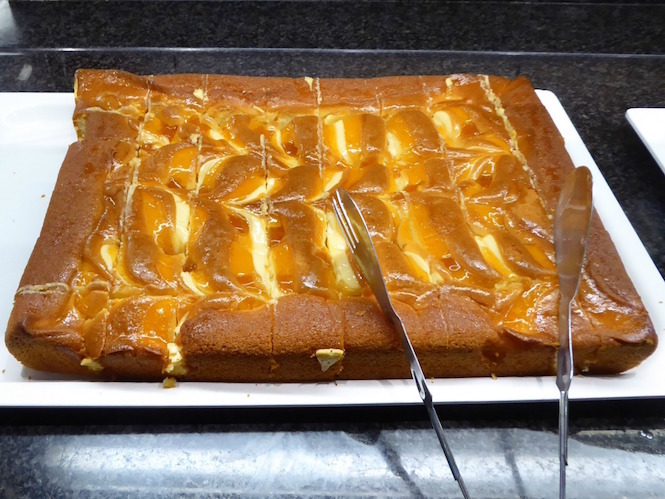 I enjoyed the wide choice of hot and cold items, including pastries, cereals, fresh fruit, sausages and omelettes, and I got very excited when I spied the cake for breakfast! That afternoon we strolled the Ruta De La Villas. 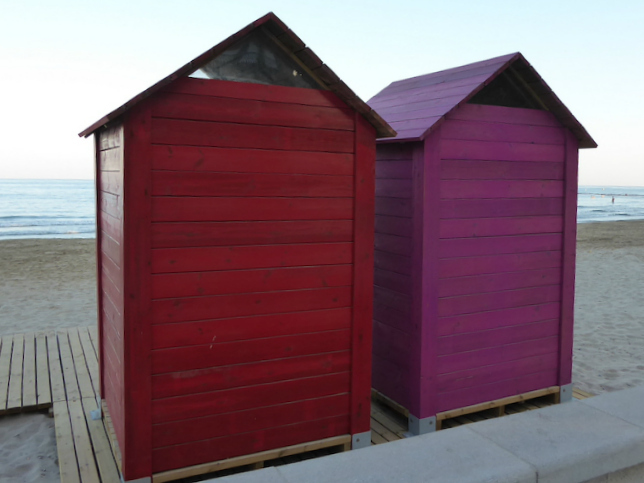 This area of Benicàssim has beautiful Belle Epoque villas along the seafront promenade. Many illustrious people lived here included the writer Ernest Hemingway. As we continued our stroll it started to get twilight but still, Voramar beach was buzzing with life, with families and couples enjoying the clean sand and each others company. Our meal that night was at Club Palasiet, a newly-opened restaurant, overlooking Voramar Beach. The food we had was very inventive and included octopus that melted in the mouth, tender local lamb and white bean stew and a dessert with green tea ice cream. 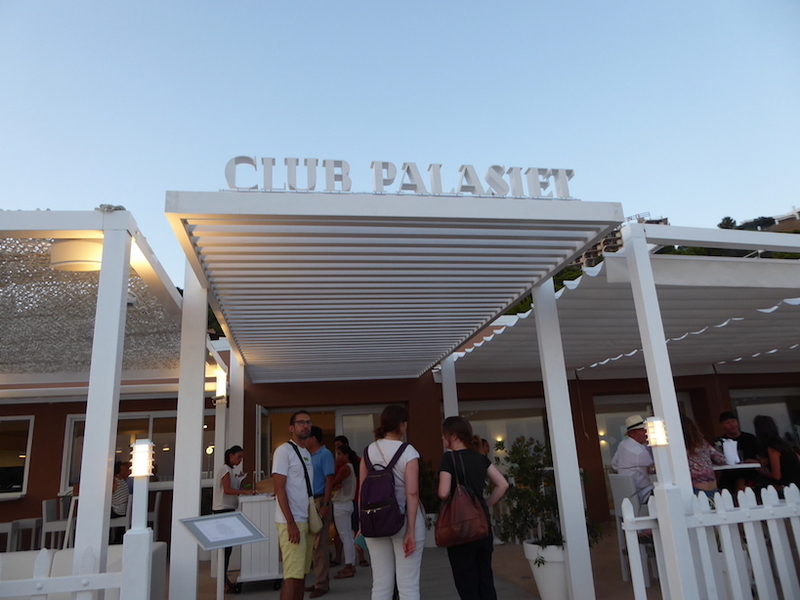 With set menus from 25 euros and a wide range of A La Carte dishes, it's a fabulous place to go for food with a view. 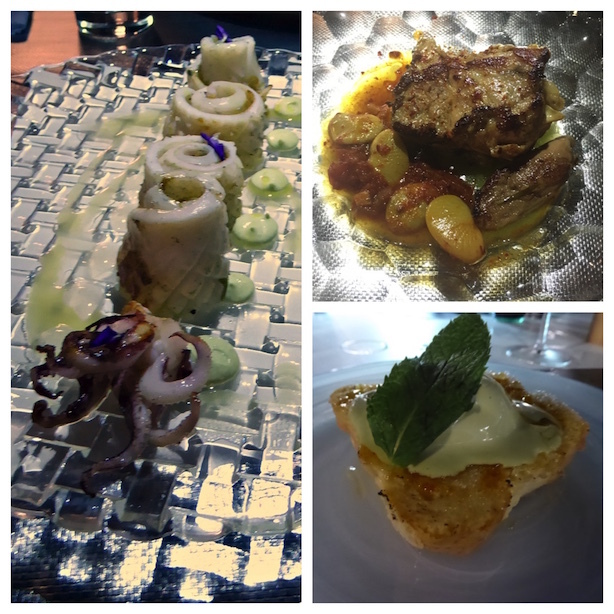 I had a great time in the Castellón region of Spain. It's an area of beautiful beaches, wonderful history, and amazing food. 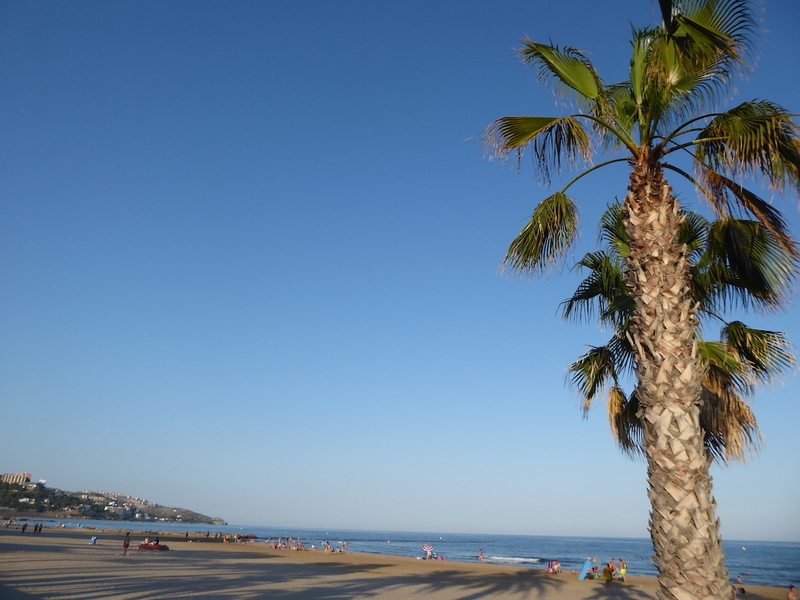 With a flight time of under two hours from Bristol airport to Castellón (Valencia) with Ryanair, you can be on the beach in no time enjoying the Spanish sun. Thanks to Heather from Heather On Her Travels, Emma from Ladies What Travel, Jenni from Travel To Recovery and Jane from Practically Perfect Mums for their company, humour, and lust for life. 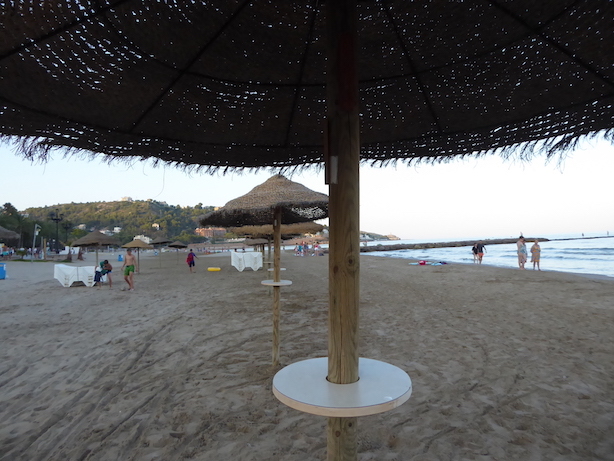 I was hosted by the Castellon tourist board, all activities, hotels, flights, and food were on a complimentary basis. Many thanks to them. Would you visit this area of Spain? What do you think of the activities we did? Cauliflower pizza is a modern alternative to traditional pizza for those that want to cut down on their carbs. I was intrigued to how it would taste so I decided to give it a go. 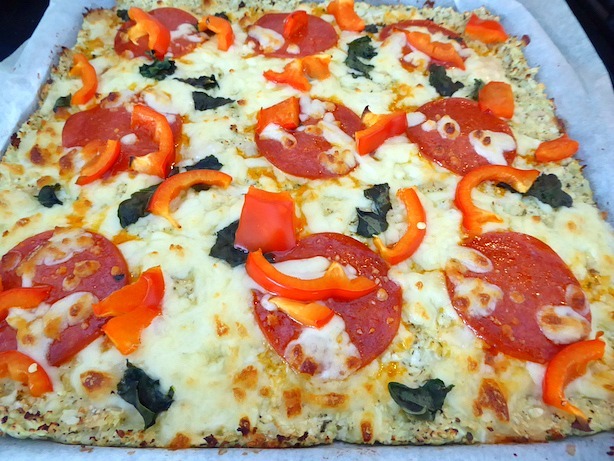 There are a few different versions of this recipe, so this is my take on cauliflower pizza. Now one thing you really need to rice the cauliflower is a food processor, so I thought this was the perfect chance to try out my new Von Shef 750W food processor which was gifted to me for an honest review. 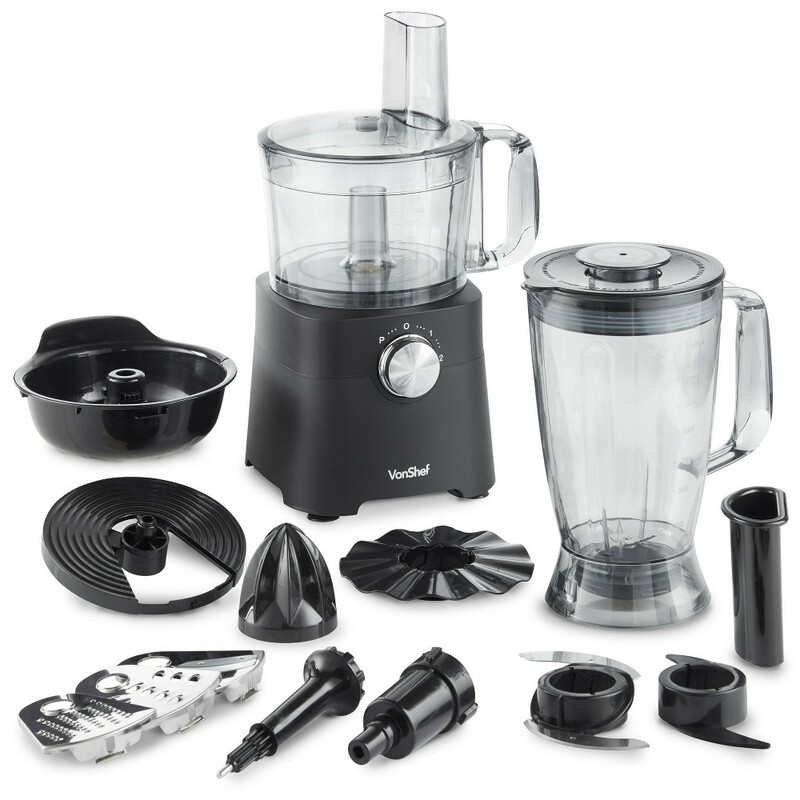 My initial thought on the food processor is that the black matt finish is really smart. 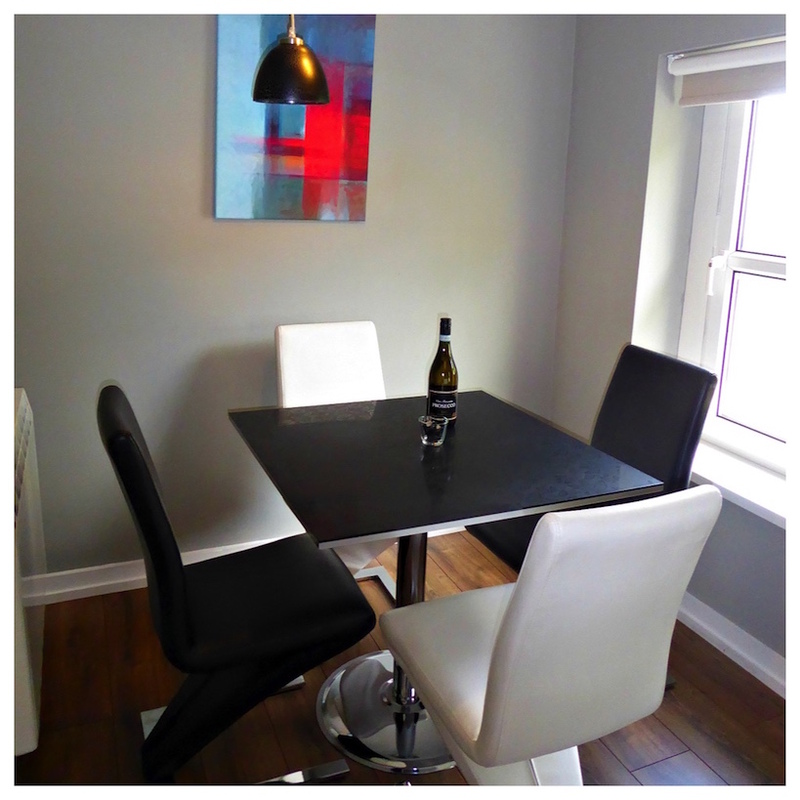 My kitchen is black and white and it fits in perfectly with the decor. The second thing that is that it has suckers on the bottom of the food processor so it stays put when you use it and won't move at all. 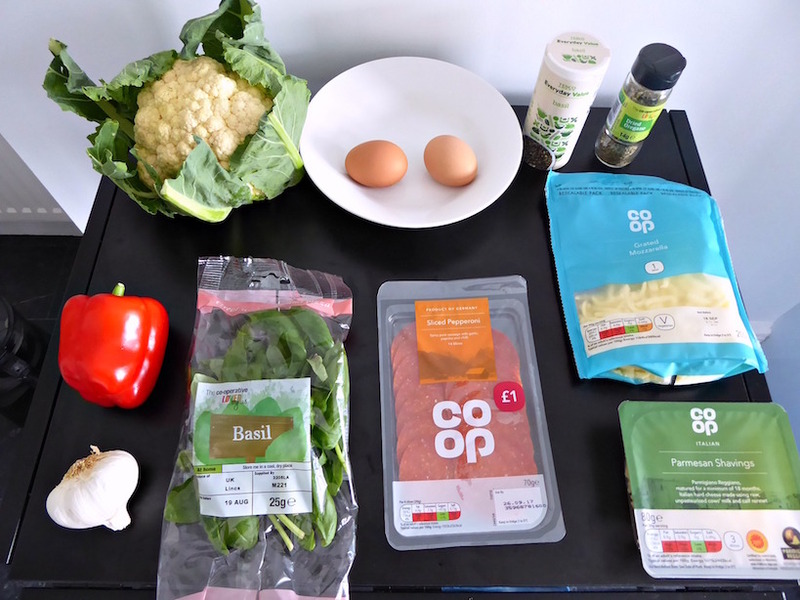 So I decided to make my first recipe with the Von Shef food processor, this cauliflower pizza recipe below. I've seen this recipe all lover the Internet so I thought I would try it. 1. Preheat the oven to 200 degrees Centigrade or 400 degrees Fahrenheit. 2. Cut the cauliflower up into florets, discard the stalk and the green leaves. 3. 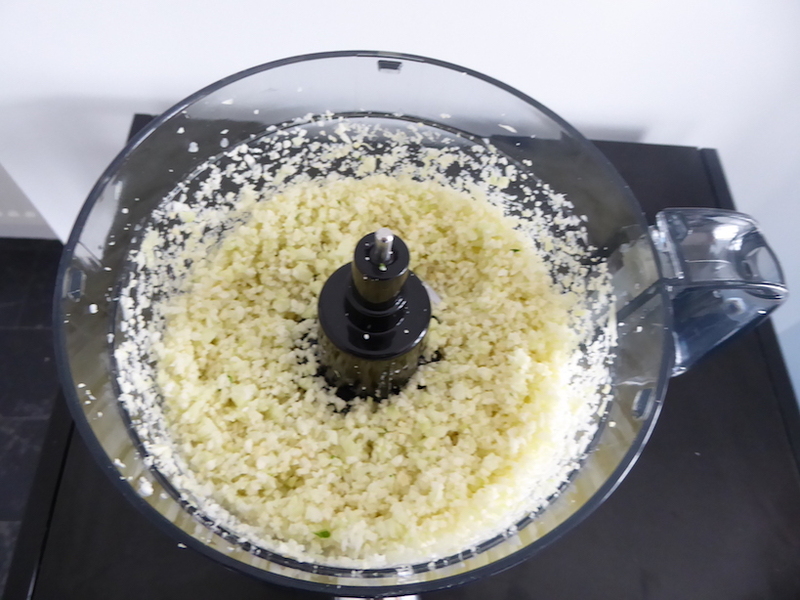 Put the cauliflower in the food processor with an S blade, and use the pulse setting until it resembles rice. You will probably need to do this in 2 or 3 batches. If you do not have a food processor you will need to chop it very finely. 4. Put the riced cauliflower in a microwave safe bowl. Microwave for 2 minutes, on high, stir then microwave for another 3 minutes. 5. Get a tray and line it with paper kitchen towels. Turn out the cauliflower onto the towels then cover with more and leave for 5 minutes to absorb the moisture. 6. Transfer the cauliflower into a mixing bowl. 7. Stir in basil, oregano, minced garlic, eggs, parmesan and mozzarella. 8. Line a pizza tray with greaseproof paper. 9. Turn out the cauliflower mix onto the lined pizza tray. 10. Take a clean hand and pat down the mixture firmly onto the tray. 11. Bake in the oven for 10 minutes. 12. Remove from the oven, then top with your favourite toppings. I used pepperoni, red pepper, basil and mozzarella. 13. Bake for another 10 minutes or until cheese has melted. The finished pizza has a great flavour and definitely tastes like a 'proper' pizza. The base, however, is not crispy or doughy so it can take a little getting used to. 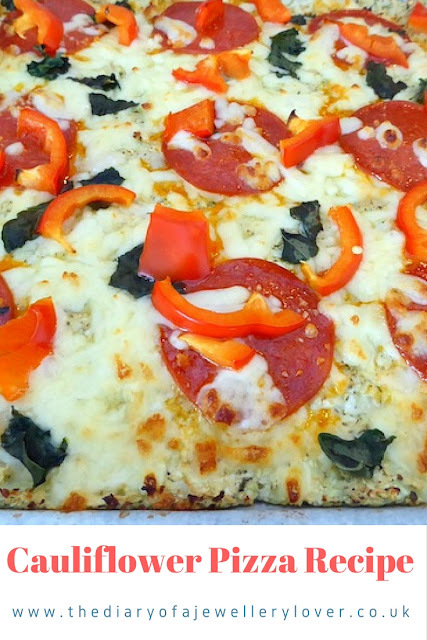 If you are looking to cut down on carbs or avoid gluten this cauliflower pizza is a great alternative to a traditional pizza. 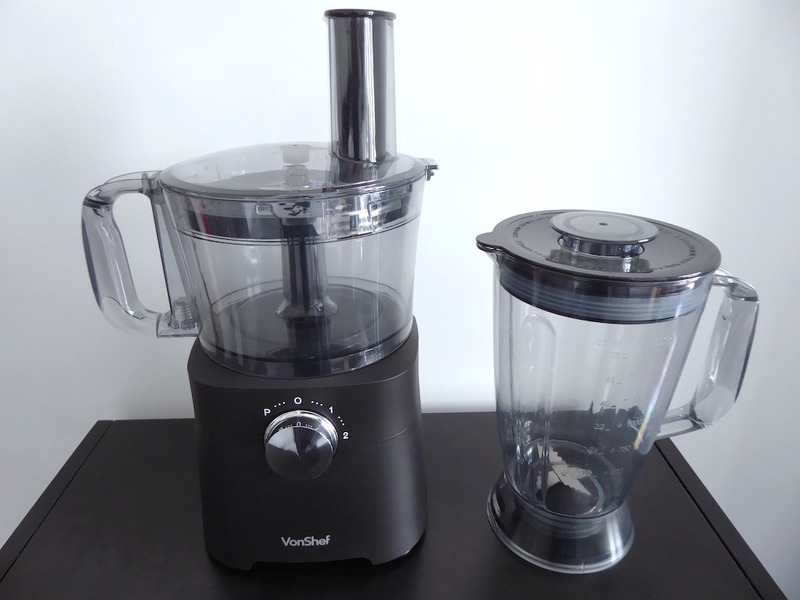 What I liked about the Von Shef 750W food processor is the decent size of the bowl, which is 2 litres and the blending jar is 1.8 litres. Both of these are the perfect size for a couple or small family. The bowls are made of plastic which are lightweight and easy to clean. It has two-speed settings and also a pulse function so you can use it in short bursts. Useful when you don't want to over process a mixture. The chute is large and perfect for adding extra ingredients slowly, such as oil to make mayonnaise. The number of attachments made it great value for money, as it comes with a stainless steel chopper blade, grater and shredder, a citrus juicing attachment, an emulsifying disc for whipping cream and a plastic dough blade. I used the chopper blade to shred the cauliflower for this recipe and it was done in a matter of seconds. The blade is very sharp and comes with plastic guards so be careful when attaching the blade to the food processor. A safety feature that is standard with most food processors, is that the bowl has to be closed properly for it to work. The food processor was easy to clean, but water got into the handle so be aware of that when you wash it, and dry thoroughly. It is dishwasher safe too so that is a big plus point for most people these days. I think the Von Shef 750W food processor is great value for money and powerful enough to cope with everything you would want a food processor to do. 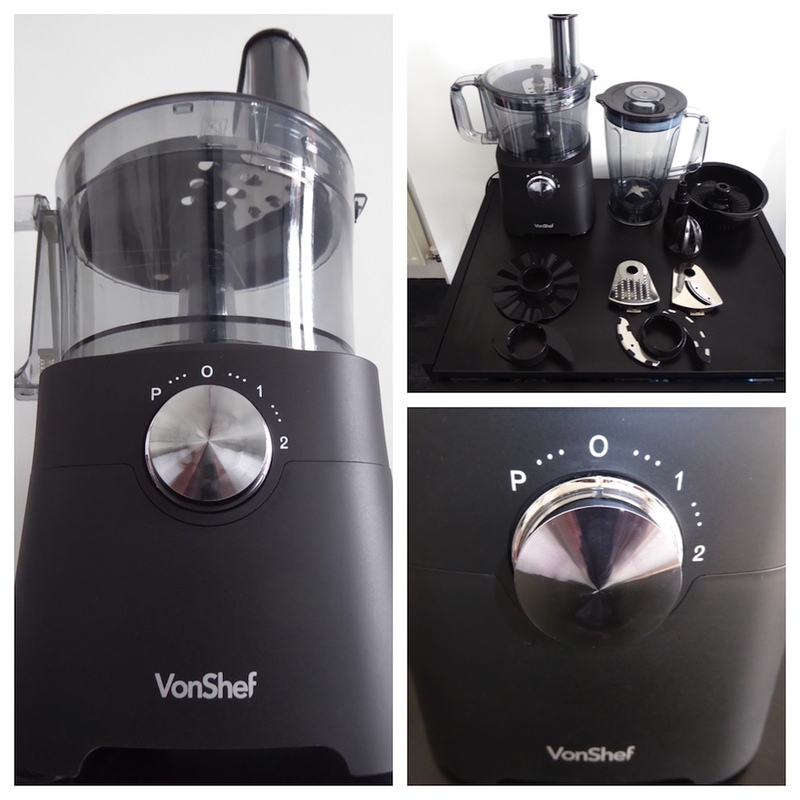 I look forward to trying out the Von Shef food processor more in the near future so be sure to keep an eye on my blog for more food processor recipes. I also have some good news for my readers too, you can win one today! To enter my competition all you have to do is answer the question on the Rafflecopter application below. You can enter every day so be sure to bookmark this page if you really want to win one. Also, don't forget to check out my other competitions too. Good luck! My giveaway is open to those 18 + living in the UK only. Running a family home can be overwhelming and chaotic at times. Everyone has their own schedule. What do you do with all the subscriptions, bills, WIFI passwords, club memberships, Spotify memberships, phone contracts, family photos, calendar dates etc? Simple. A large note board in your kitchen is the perfect solution. It will completely change the way your family keeps up with each other. There are many ways to set up a note board, also called a bulletin board or memo board but it's basically a large board in your kitchen where you can keep all of your family's important information in one place. That can be lists, notes from the school, calendars, and important documents that you need. Drawing pins allow you to hang all this paperwork, so it is visually displayed where everyone can see them and grab them if they're needed. The purpose of the note board is to keep the entire family on schedule and so nothing gets lost and important appointments aren't missed. 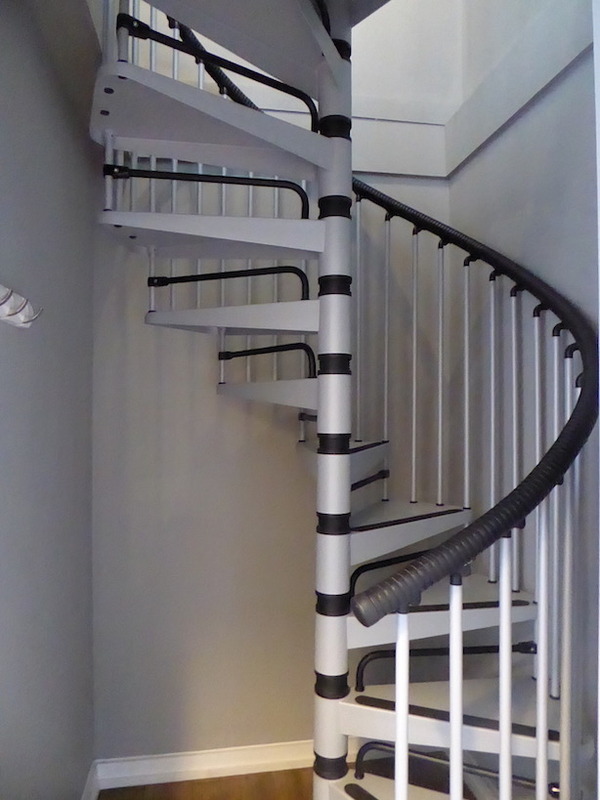 The first thing to consider is to choose one that's large enough to accommodate everything you want to hang on it. 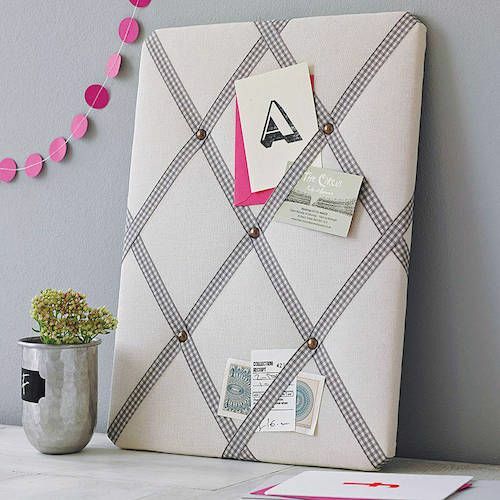 One of the most popular ways to make a note board is to cover a large cork board with fabric. This makes it easy to use push pins as they will go into and come out of the cork material with ease. You can also add ribbons in a criss-cross pattern, which you can then slide important papers behind to hold them in place. A simple fabric covered board is easy to do, but don't be afraid to embellish yours with fun paint colours, cut-outs or items like buttons or beads that will give it life and personality. Anything that encourages your family to use the note board is perfect. Once you have the board sorted, all you need is a load of drawing pins so that you can start pinning all your important documents, calendars and photos to it and your all set. Of course, if you are rushed for time, you can always buy a note board for a reasonable price. Once you start using a note board in your kitchen, it will be easy to see why it's handy. The most important benefit is that everyone who lives in your house will know where to look for papers or events they need to know about. It may take a bit of effort to get everyone to use the board, but once it's a regular part of life, it will be so convenient. With everyone coming and going all the time, your note board is a great place to stick papers or documents you need someone to sign or read. A calendar on your notes board allows everyone in the family to know where everyone else is at any given time. Using a note board is something your entire family will appreciate and it's super easy to make a board in under an hour. Make sure that you hang your board in a place where anyone can get to so that each person in your home is able to make it work. Staying connected and organised has never been so easy. With the skyrocketing house prices, more and more of us are having to settle for smaller properties, or developing our homes to accommodate our growing families. When space is tight, storage really comes into its own and is a smart, effective and affordable way to maximise the area you live in, while concealing all the clutter that comes with having kids. There are many clever storage solutions on the market, with sites like Pinterest giving us creative ideas and DIY projects to maximise smaller living areas, you can make a modest family home feel grand and spacious. In every room in the house, there’s potential to save space by investing in smart furniture that’s multifunctional but also, importantly, looks great. The bathroom is often the smallest room in the house, and probably the most frequently used. 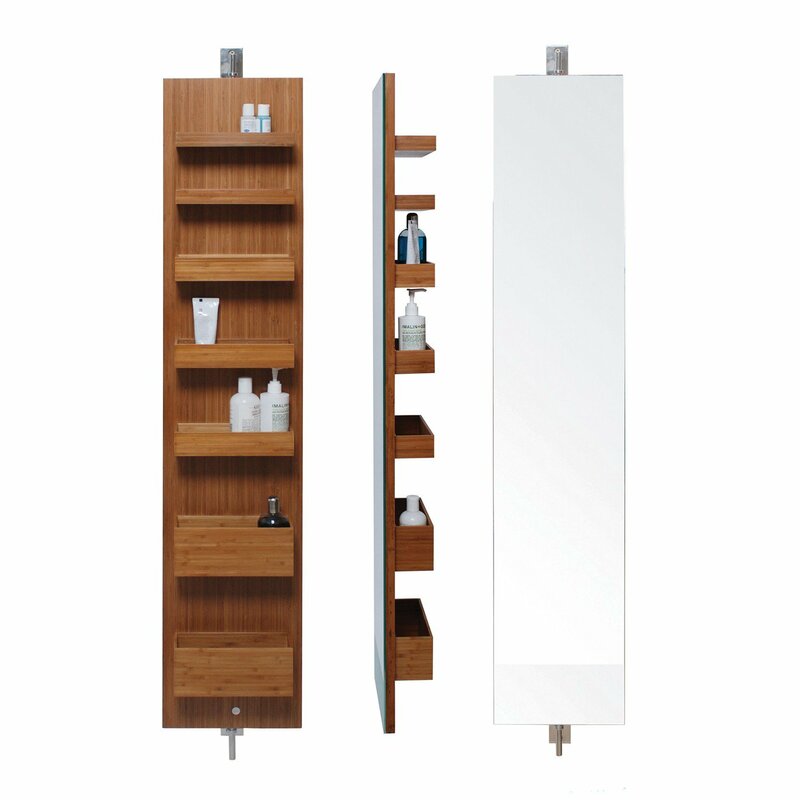 There are many clever ways you can reclaim precious space in the bathroom, and this revolving mirror and concealed storage unit from Heal’s is just one of them. It’s stylish and functional, and this slim design will still hide all your bottles, jars and lotions. Next, you can take on the kitchen by making all your cupboards easy to access with storage solutions designed to organise and maximise cupboard space. 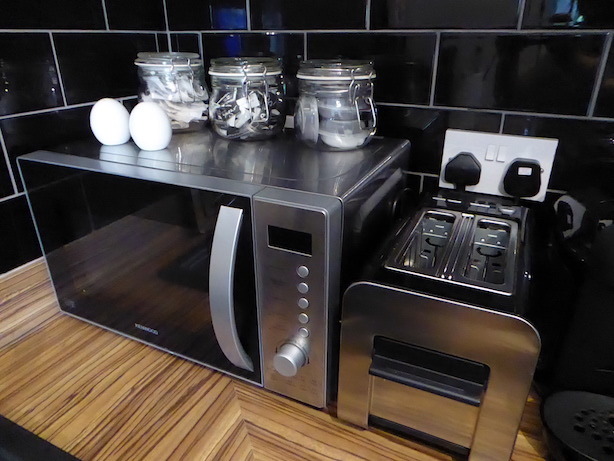 Consider these chrome baskets for kitchen cabinets and this stacking shelf for cupboards. There are heaps of ways you can claim back space in your bedroom by buying multi-functional furniture that looks great and saves on space. This headboard with storage from Ikea is stylish and ideal for teenage and adult bedrooms alike. Cleverly conceal books and display ornaments without the need for a standalone shelving unit. Another nifty storage option is a storage box for the end of the bed. This blanket box from Arlo & Jacob is well made, stylish and can be upholstered in the fabric of your choice so that it will fit in with your interior scheme seamlessly. You can store blankets, cushions, bed linen and clothes and it doubles as a place to sit. When it comes to the living room, you want to maintain a sense of warmth and comfort, filling the area with comfortable furniture, with enough floor space for the kids to play. 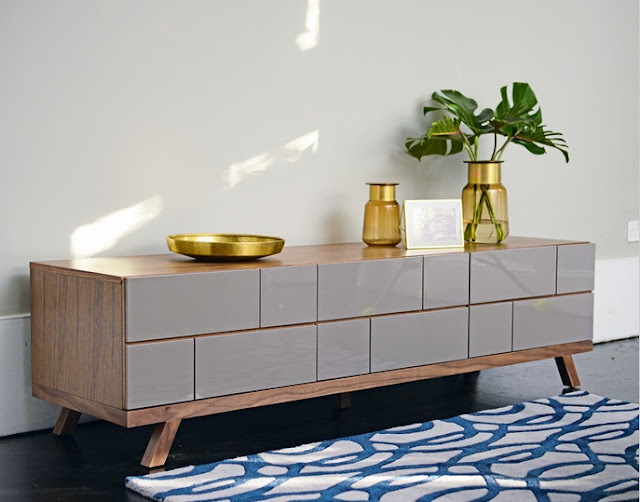 A sleek TV storage unit, like this one below from Dwell, will allow you to hide away toys, DVDs, games, books and all the clutter you want to keep out of sight when it’s not in use. Its mid-century design is on-trend, and its muted colours make it easy to work into almost any interior scheme. Finally, the hallway is the first area you see when you walk into your home so you will want to try and make a good impression, but this can be hard to do when the kids have other ideas with their abandoned shoes, sports kit and school bags. Consider an affordable, smart hallway storage unit, like this one, which will clear the area and look stylish in the process. There are so many storage options available that you should never feel limited by your small space. Use websites to research and compare prices online, and if you have time over the weekends, you could even attempt making some storage solutions yourself to save money and add a personal touch to your home. I'm a recent convert to apartment accommodation. You just get so much more space than a standard hotel room, don't you? 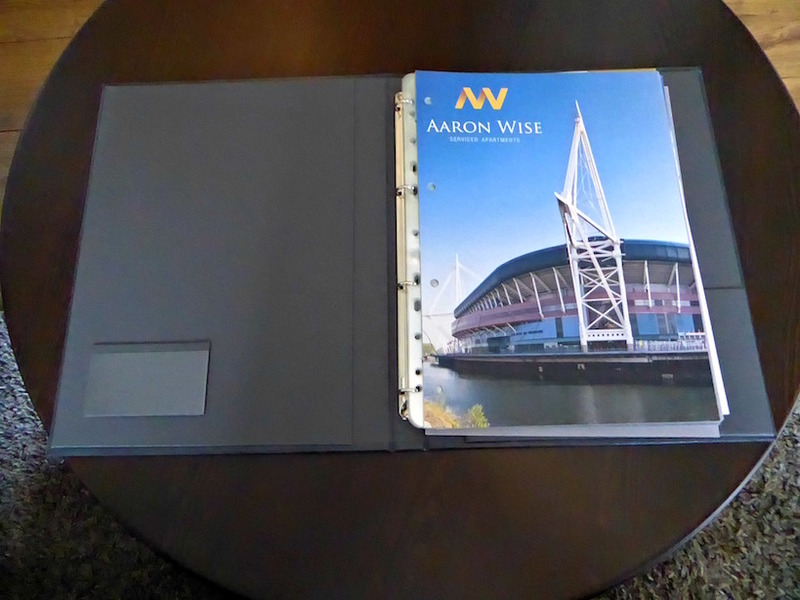 So when I was invited to check out the Aaron Wise Apartments in Cardiff recently I was looking forward to seeing what a stay would bring. 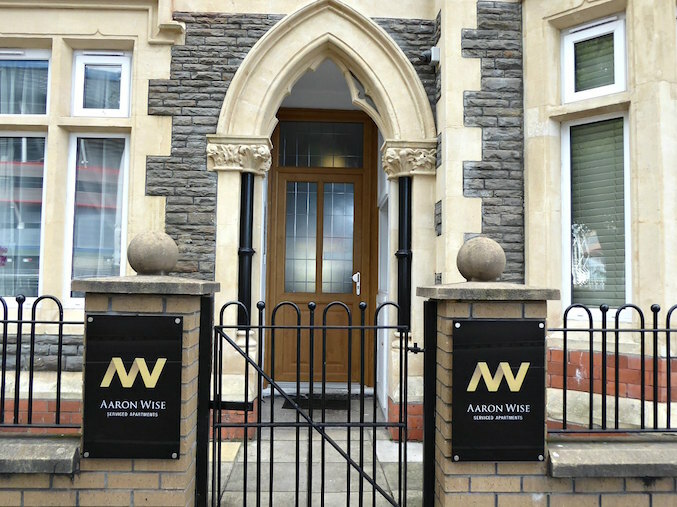 The Aaron Wise Apartments are situated in the centre of Cardiff, a short 10-minute walk from Cardiff Central train station, 10 minutes from Cardiff Castle and a 15-minute walk from high street shopping at Queen Street. 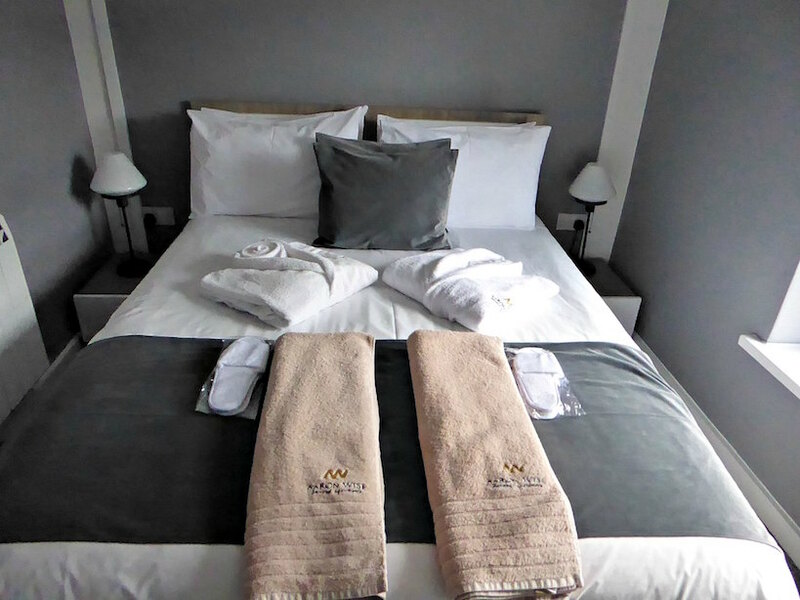 With a view of the Principality Stadium, it really is well positioned for a stay in the Welsh capital. The two bedroom apartment we stayed in was on the top floor. Entry is via a pin code which they email you before you arrive. Such a simple idea but an efficient idea, no fussing around picking up keys at all. As we entered the apartment I was really impressed with the fresh modern decor in muted shades of cream, brown, black and grey, and the lovely style of the furnishings. What also struck me was how exceptionally clean it was. Not a speck of dust anywhere, and no musty smell. I think I need their cleaning team in my home that's for sure! The bedrooms were well appointed. Each had two bedside tables with lamps, a large full-length mirror and a wardrobe with cupboards big enough to store your clothes for a stay. 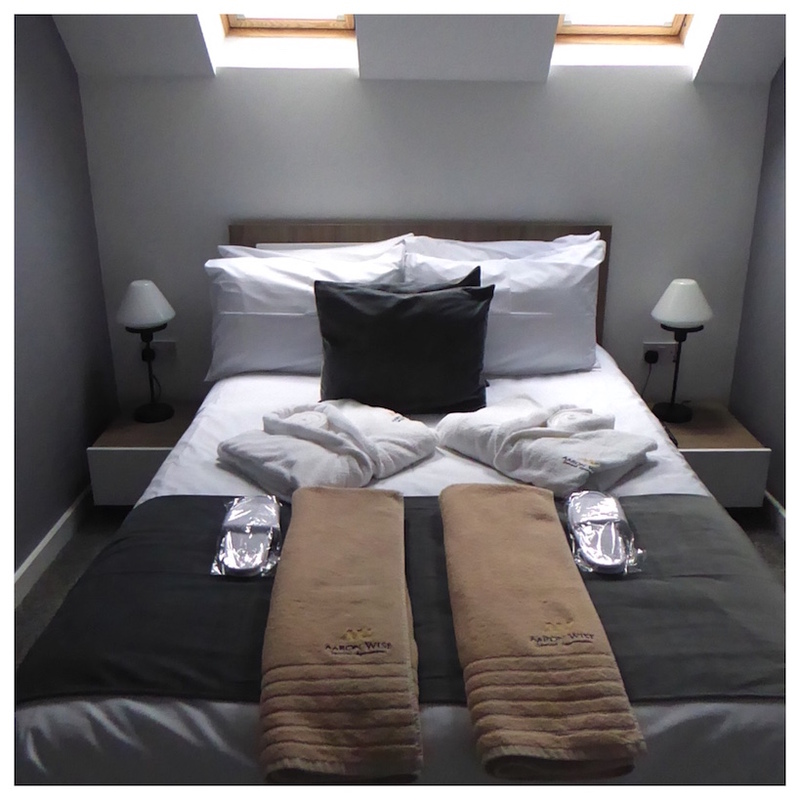 The bed linen looked fresh and inviting but it was the little touches that were particularly great, such as the cosy slippers and a lovely warm dressing gown each, the sort of touches you get in a luxury hotel. The carpet on the floor was soft to the touch, very clean and felt luxurious. A large flat screen TV added the finishing touch, and perfect if you want to relax in bed before getting up in the morning. A small hallway led to the open plan lounge, kitchen and dining area. The area was compact but had everything you would need. The floors had wood tiling and were very clean. 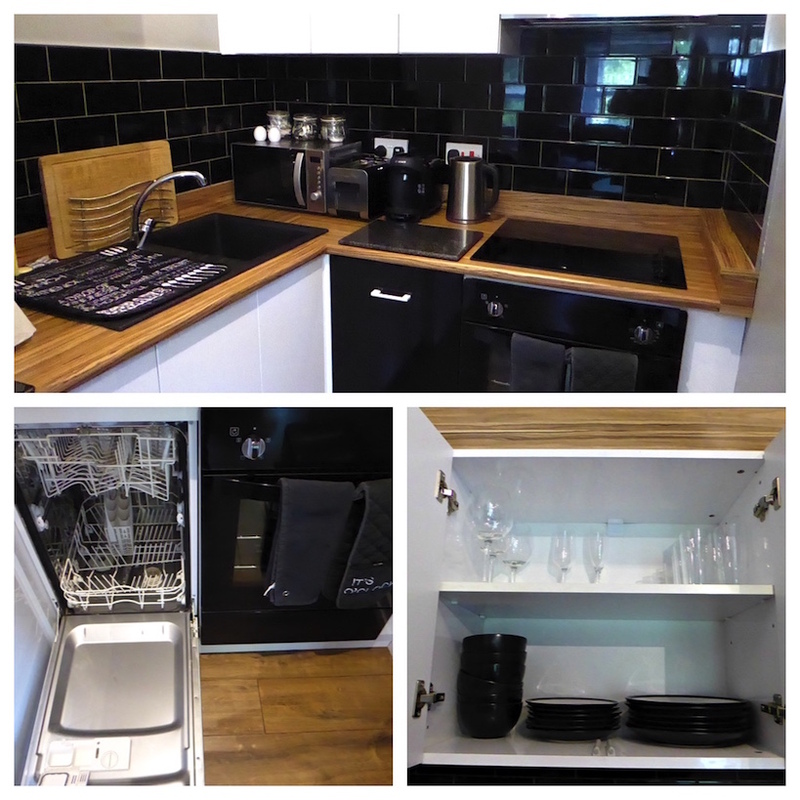 The kitchen included a small dishwasher, cooker, microwave and kettle, coffee pod machine and large fridge freezer. Dishes, pots, pans and cooking utensils were all there - everything you would need to cook and serve a simple meal. I liked the fact that they included tea bags, coffee pods, sugar and little pots of fresh milk in the fridge. One of the first things we do when you get to a destination is put on the kettle, so well done for including these Aaron Wise apartments. 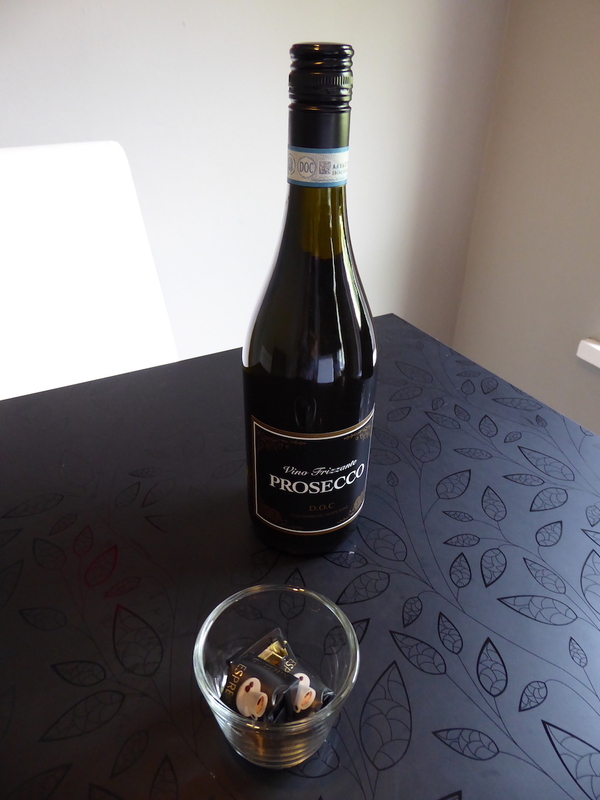 Another little surprise was a bottle of Prosecco, what a fabulous gift! Washing up liquid, and dishwasher tablets were also included for a couple of days use. If you were staying longer you would need to bring extra. 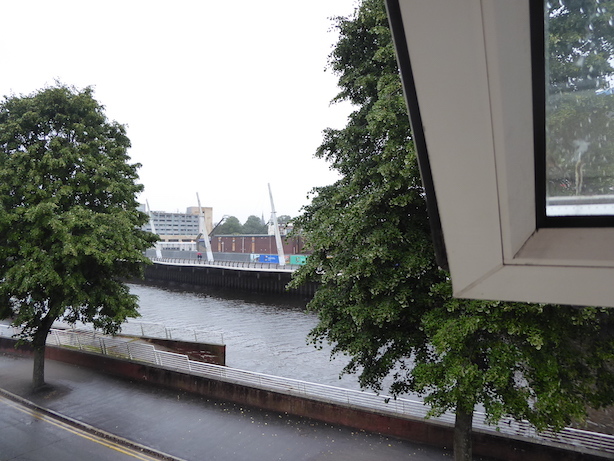 The dining area was big enough for four, and the room looked out onto the River Taff. The Prosecco was a nice touch! 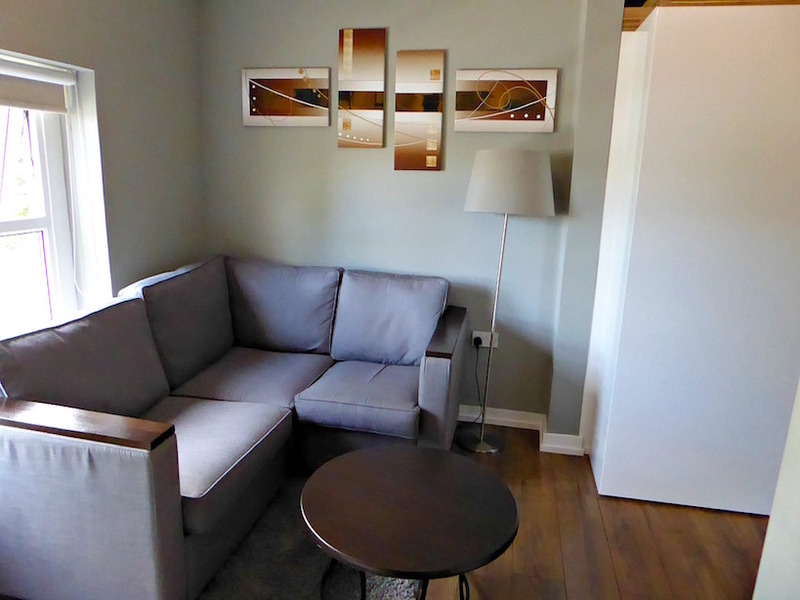 In between the lounge and dining area was another flat screen TV and a very useful guide was supplied covering what to do in the city and how to operate the appliances and heating. Upstairs was a double bedroom and a shower room. Just a little note if you have little ones, the stairs were a little steep so be careful. 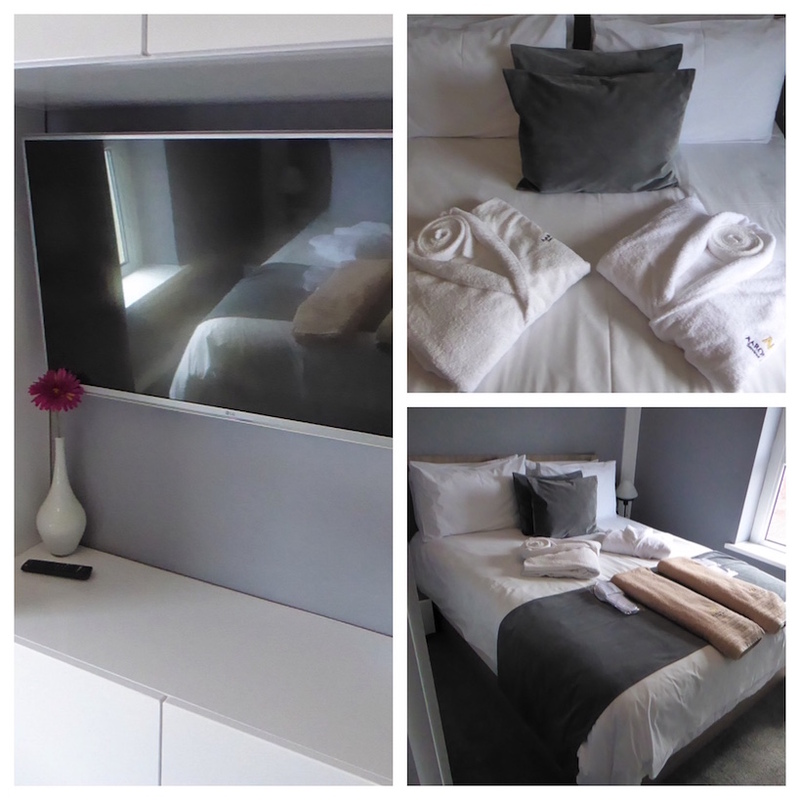 The double bedroom had a large flat screen TV and integrally fitted wardrobes which were super sleek. Again towels, luxury bathrobes and fluffy slippers were available. I loved the fact that the bath towels were large and soft, not teeny tiny and scratchy. 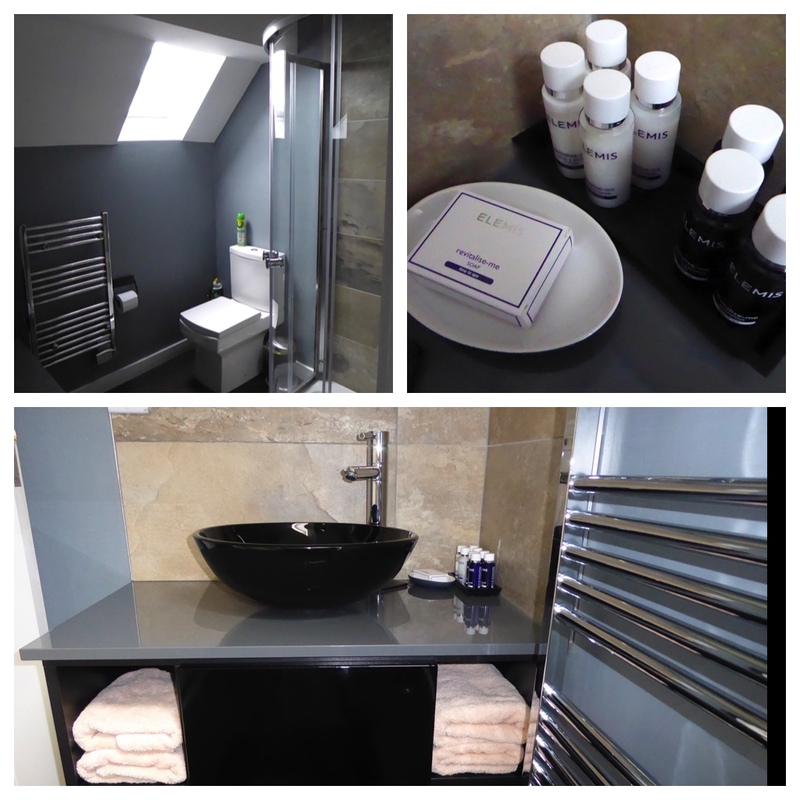 The shower room was designed in black, grey and beige and was very smart. Elemis toiletries were left including shower gel, shampoo, conditioner and body lotion. I don't think I've ever stayed in an apartment with Elemis toiletries so that was fabulous. 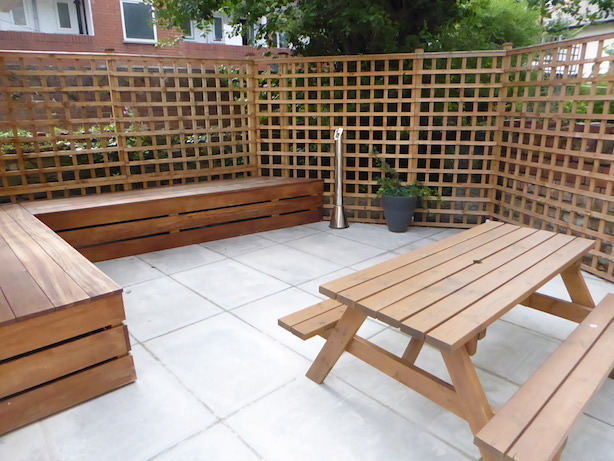 Outside is a garden area, that would be perfect to sit in and socialise on a warm Summer's day. That evening we went out to explore Cardiff, and that night we had a comfortable stay in the apartment, the beds were super comfy and we all slept well. The large fan in the lounge/diner was perfect for a warm summer's evening and kept us cool. If you haven't been to Cardiff before, it's a great city and compact too. There is amazing shopping with independent shops in the Victorian arcades, and high street shops at St Davids 2 and Queen Street. There is also fantastic history to explore in Cardiff Castle. If you want to read more about Cardiff check out my post on What To See And Do In Cardiff Bay. 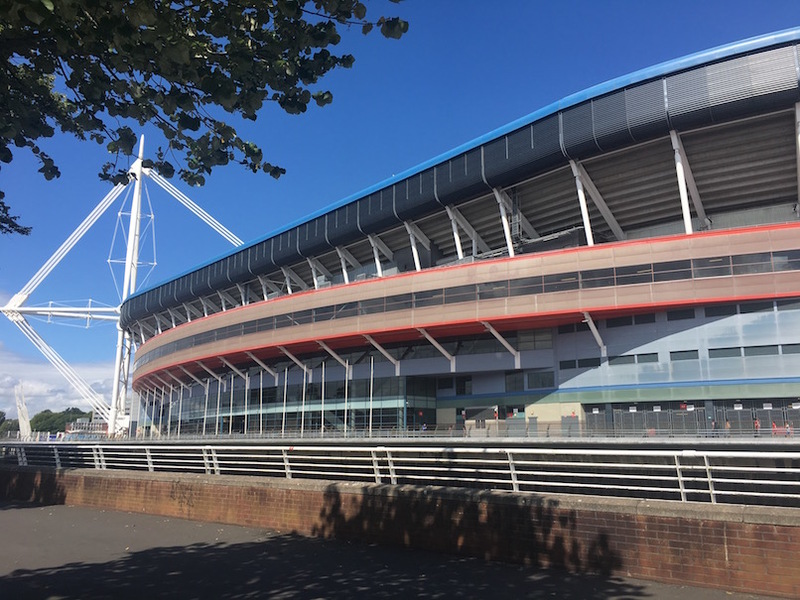 One point of note is that the apartment it is perfectly situated for the Principality Stadium, however, if you are not a football fan then you may want to check when matches are on as you would have a level of noise from the stadium. There is no special parking for the apartment, instead, there is on street parking at a pay and display machine. When we tried to pay it with a credit card it wasn't working so be sure to have change. Many thanks to a kindly traffic warden who gave us 10 pence. We really enjoyed our stay at the Aaron Wise Apartments. The apartment was in excellent condition and was the perfect size for a small family or close group of friends. Everything was super clean and very fresh smelling. The added luxuries of Elemis products, Prosecco, bathrobes, and slippers, as well as complimentary tea and coffee, added some special touches. 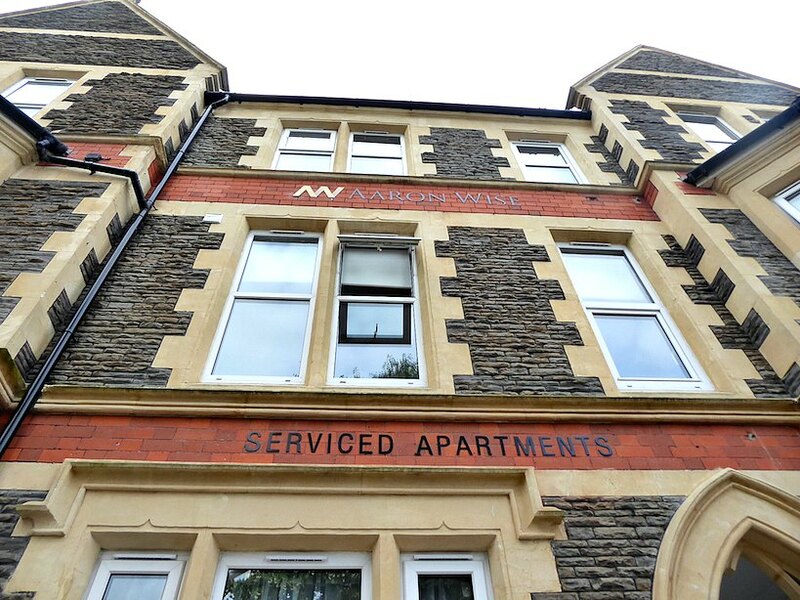 Being only a short walk from the centre of Cardiff the apartments are well positioned too. They market the apartments as 'Luxurious, Modern and Convenient' and they certainly are. We would definitely stay again. If you want to book, add the code MELLOVES10 at checkout for 10% off online or give them a ring and quote that code for your discount.